I set out this Saturday morning riding solo. 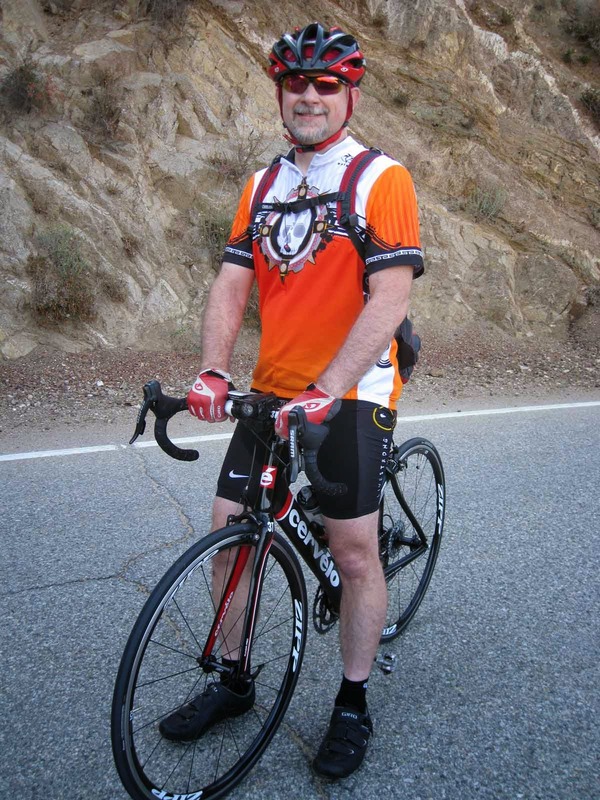 I decided on Glendora Mountain Road to Mt Baldy, and it was going to be a "chill" ride. Neither a hammerfest nor a race against the clock, just slow and stead. I set out at 6:30 am, it was dark, and I didn't see any other riders until the top of Monroe. As I turned the bend at the maintenance shed, I spotted another rider at the top of Monroe. I picked up my pace and caught up with the rider at about fork plus 2. It was Mark from Covina. I have seen him before on the mountain and on Annette's site, GlendoraMTNRoad.com. I matched his pace and from fork plus 2, we basically rode together before parting ways at Mt Baldy Village. This was the first time actually talking with Mark. We talked work, family and cars. It turns out he too had a Chevy Nova as a first car. Mine was a 1972, his was a 1974. Mark, if you happen upon my site, send me an email and we have to connect again for another ride. Maybe to the ski lifts.